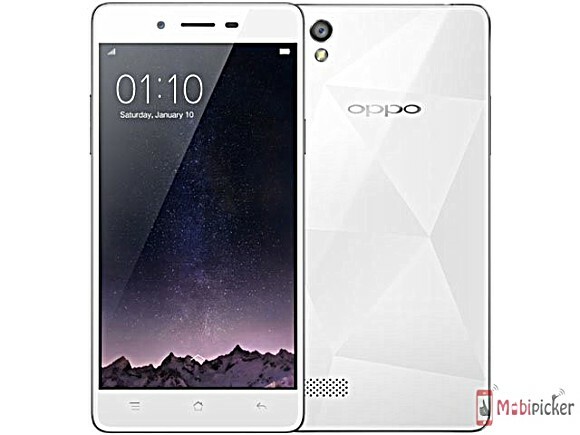 A week after we brought you exclusive details on Oppo Mirror 5, a new leak is suggesting that the device might actually be called as the Mirror 5s. While we already know that the handset will come with 2GB RAM, 16GB internal storage, 5MP selfie snapper, and Android 5.1 Lollipop, the latest leak reveals that it will be powered by a Snapdragon 400 MSM8916 SoC with 1.2GHz quad-core CPU, and sport a 5 inch display with 1280×720 pixels resolution. Other specs of the Mirror 5s - which measures 143.4 x 71.2 x 7.6mm - include 8MP rear camera, dual-SIM support, and a 2,420mAh battery. It is said to be unveiled sometime in the second week of July. Haha it's not even trying to NOT look like an iPhone. Shame. that wallpaper looks familiar...wonder where I had seen it.